Have a little brother or stuff like that? Don't like to leave your PC unattended? Data to protect? Thinking in incomplete sentences? Get ComputerLock v3.1! It can't help you to improve your grammar skills but it helps you to secure your PC with just a single mouse click on the quicklaunch bar. The setup-tool offers many options to customize the look and behavior. 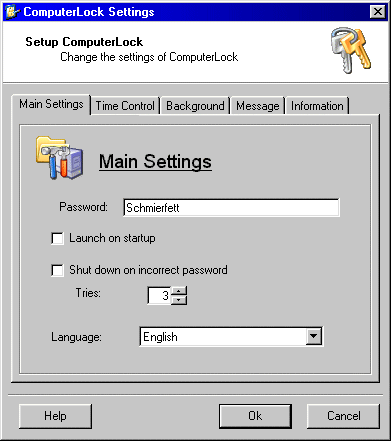 An additional screen saver launches ComputerLock and provides extra security. If you haven't started ComputerLock because you had to leave in a hurry the screen saver will do it for you. 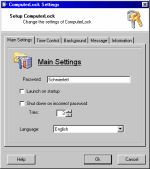 ComputerLock works on Windows 9x only. 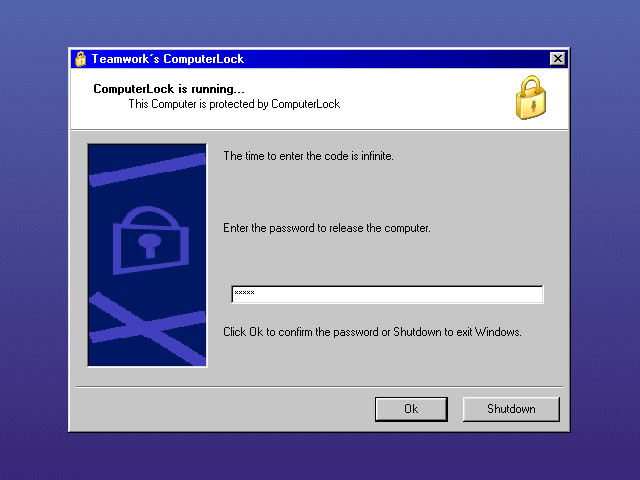 Windows NT, 2000 and XP have built-in features to secure a PC while you are away. Press Windows-L to lock your workstation.